Another chapter in the Microsoft/Alcatel-Lucent court battle has come to a close. And this time, it's Microsoft that is in the clear. The technology under the spotlight this time is to do with speech recognition that converts speech into text. Alcatel-Lucent has been ordered to pay $1.52 billion in damages (around £800 million). It's the largest ruling ever in a US Patent Case. The case was set to go to trial on 19 March. That will not now happen after San Diego District Judge Rudi Brewster threw out all of Alcatel-Lucent 's claims. "This ruling reaffirms our confidence that once there's judicial review of these complex patent cases, these Alcatel-Lucent claims ultimately won't stand up," said Tom Burt, Microsoft's counsel. One of the other suits yet to be heard concerns the decoding technology in the Xbox 360. 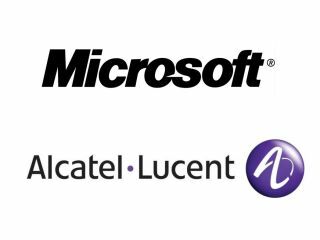 Last week the boot was on the other foot, with Microsoft told to pay Alcatel-Lucent $1.5bn as compensation for including the company's MP3 audio technology in Windows. At the time Tom Burt said in a statement: "Like hundreds of other companies large and small, we believe that we properly licensed the MP3 technology from its industry recognised licensor - Fraunhofer. "We think this verdict is completely unsupported by the law or the facts. We will seek relief from the trial court, and if necessary appeal," continued Burt.